Torpedoman Second Class Raymond L. Starkey served under JFK on PT 109 and was on the boat when it was struck by the Japanese destroyer. 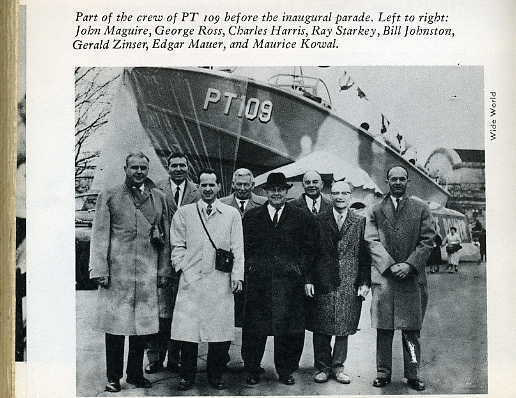 Ray Starkey with other surviving members of PT 109 during JFK inauguration. Starkey is 4th from left.